1940 | Dorothy Dixon Harrison (BA ’40; Virl [BS ’40]; Ogden, Utah) was recognized by President George W. Bush for 15 years of voluntarily attending to flower arrangements at the Weber County Library. 1957 | Raymond C. Tracy (BS ’57; Francine; Surprise, Ariz.) has written a 131-page Web site titled Cancer Remission Forever. This free site, which can be found at remissionforever.com is provided as a public service. 1959 | Margot Seymour Schulzke (BA ’59; Ernie [BA ’59]; Auburn, Calif.) is publishing A Painter’s Guide to Design and Composition. She will also be presented the Pastel Laureate Award by the Pastel Society of the West Coast. 1967 | Shauna C. Anderson (BS ’67, MS ’67, PhD University of Washington ’84; Provo) received the Robin H. Mendelson Memorial Award from the American Society for Clinical Laboratory Science (ASCLS) in recognition of leadership and dedication to the continuous evolution of the ASCLS body of knowledge. Duane C. Roberts (BA ’67, MA University of North Carolina ’77, PhD ’00, PhD ’00; Susan Plotts [BS ’67]; Hauula, Hawaii) was named director of communications and public relations for BYU–Hawaii. 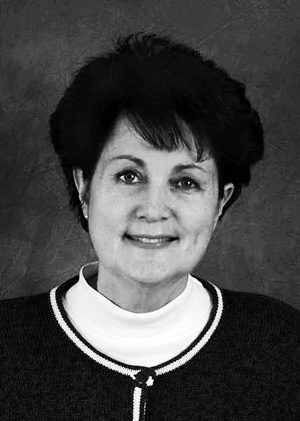 1969 | Christine Davidson McClung (BA ’69; Richard; Rockford, Ill.) is the creator of the Web site epicworld.net. This site includes weekly topics targeted at strengthening the traditional family. David E. Treanor (BA ’69; Kathleen; Chandler, Ariz.), vice president of Arizona Clean Fuels Yuma, played a critical role in the company’s agreement with Mexico’s secretary of energy confirming that the company may construct, operate, maintain, and own a pipeline to deliver company-owned crude oil to the ACFY refinery planned for Yuma County, Ariz.
1971 | Gar E. Jensen (BA ’71, JD California College of Law ’76; Janice Klingonsmith [BA ’97]; Apple Valley, Calif.), a deputy district attorney for San Bernardino County, was presented the 2005 Director’s Award from the United States Department of Justice, El Paso Intelligence Center. 1972 | Alan J. Burgess (BS ’72, MA George Washington University ’74; Kathryn; Owyhee, Nev.) has been named to the board of directors of the American Academy of Medical Administrators and will serve as director of the fourth region. 1973 | Wayne T. Hikida (BS ’73; Kathleen Wiltsie [BS ’81]; Kailua, Hawaii) has been named vice president of agency relations and development for Island Insurance Company located in Hawaii. Thomas A. Kerby (BS ’73, MS University of Arizona ’75, PhD University of Arizona ’76; June Stockett [’70]; Scott, Miss.) 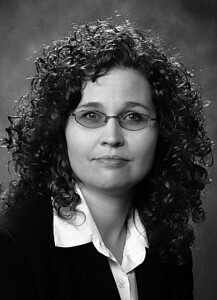 vice president of technical services of Delta and Pine Land Company, was honored by the cotton industry with the 2005 Research Award in Physiology. Ramona McGee Murdock (BA ’73; Ronald [BS ’73]; Blackfoot, Idaho) founder and CEO of Murdock Apparel, which designs formal children’s wear with the brand name Allie Wade, has launched bebini.com, a Web site offering casual children’s clothing. 1974 | Kay Evans Little (BS ’74, MA National University ’05; James [’74]; Lakeside, Calif.) achieved National Board Certification in Early and Middle Childhood: Literacy-Reading, Language Arts. She was named Lakeside Union School District Teacher of the Year for 2004–05. Val C. Sheffield (BS ’74, MS ’77, PhD University of Chicago ’83, MD University of Chicago ’85; Kristin Cotterell [BA ’76]; Iowa City, Iowa) was elected a member of the Institute of Medicine of the National Academies. Mark E. White (BA ’74, MEd ’79, PhD ’81; Kathy; Fort Worth, Texas) retired after 30 years as a principal and central administrator for the HEB School District in Bedford, Texas. 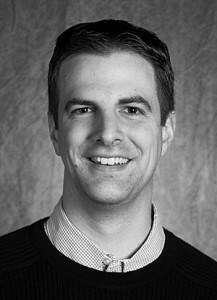 He has accepted a position as supervisor of the advisement center for the BYU College of Nursing. 1976 | James P. Swanger (BA ’76, JD Willamette University ’79; Mary; Vancouver, Wash.), a Clark County district court judge, received the Washington State Bar Association’s Local Hero Award for contributions to his community. 1978 | John S. Hoffman (BS ’78, PhD ’82; Rosemarie Reiser [MA ’81]; Woodstock, Ga.) published the book The Emotional Foundations of Loving Relationships. Perry A. Bohn (BS ’78; Kay Lilly [BS ’78]; Lincolnton, N.C.) is the Organization for Economic Cooperation and Development program manager for the United States Department of Agriculture’s Agricultural Marketing Services. He oversees the transport of all agricultural seed entering or leaving the United States. 1979 | Richard O. Hatch (BA ’79, JD ’82; Keri Fuller [BA ’81]; Herndon, Va.), a colonel in the United States Armed Forces, was honored by the American Bar Association as its annual Outstanding Career Judge Advocate for his 18 months of work in Iraq as senior attorney with the Army’s 101st Airborne Division and later with the multinational command responsible for training Iraqi military, police, and border forces. Larry L. Richman (BA ’79; Teri; Salt Lake City) wrote Improving Your Project Management Skills. He also wrote Project Management Step-by-Step. 1980 | Robert D. Hill (BS ’80, MS ’82; Debra Hepworth [BS ’80]; Salt Lake City) has published Positive Aging: A Guide for Mental Health Professionals and Consumers. vKristine Johnson Hoffman (BS ’81; Len; Orem, Utah) with her husband, Len, formed Hoffman & Company in 1984, which has grown to 2,700 clients. She also is a tax accountant and an enrolled agent with the IRS. Reed B. Markham (BA ’81, MA ’82; Lorena; West Jordan, Utah) chair of the Communication Department at Darton College, was appointed to the Board of Governors for the University College of the Caribbean. Robert L. Mikkelsen (BS ’81, PhD University of California, Riverside ’85; Davis, Calif.) received the honor of fellow of the American Society of Agronomy at the society’s annual meetings in conjunction with the Crop Science Society of America and Soil Science Society of America. 1985 | Sonoma L. Van Brunt (BA ’85; Costa Mesa, Calif.) was promoted to vice president of business development, marketing, and public relations for St. Joseph Hospital, a nonprofit acute-care facility that provides comprehensive care to Orange County, Calif., and the surrounding area. 1988 | Brian D. Baxter (BA ’88, MPA University of Utah ’97; Kristy Roundy [’92]; Alpine, Utah) has joined XanGo as senior director of human resources. John D. Kenney (BS ’88, MS ’90, PhD ’98; Orem, Utah) and his wife, Cynthia Robison Kenney (BA ’90), have founded a nonprofit ballet company based in Orem that has produced The Nutcracker for the past two years. Douglas F. Prawitt (MAcc ’88, PhD University of Arizona ’92; Meryll Levi [’88]; Mapleton, Utah) has been appointed to the Auditing Standards Board of the American Institute of Certified Public Accountants. 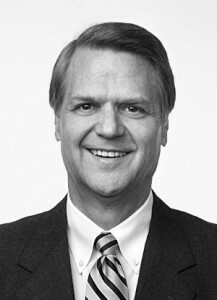 1989 | Charles R. Christopherson Jr. (BS ’89, MBA University of Oregon ’96; Colleen; Southlake, Texas) has been named chief financial officer for the U. S. Department of Agriculture. His duties will involve accounting and reporting for program funds totaling more than $90 billion. 1990 | Lisa Bryner Bohman (BA ’90, JD ’05; Kendall [BS ’90]; Salt Lake City) has joined the law firm Van Cott, Bagley, Cornwall & McCarthy as a new associate. Marc W. Walker (BS ’90, MBA ’97; Julie Smith [BS ’91]; Highland, Utah) was promoted to vice president of international development for XanGo and will oversee the company’s expansion into new international markets. 1991 | Paul L. Beckett (BA ’91, BS ’91, DO University of Health Services ’03; Melissa Jarvis [BS ’91]; Fort Wayne, Ind.) was named the Indiana Family Practice Resident of the Year by the Indiana Academy of Family Physicians and honored by the American Academy of Family Physicians and Bristol-Myers Squibb with the Award for Excellence in Graduate Medical Education. Brett W. Heimburger (BA ’91; MBA Northwestern ’99; Salt Lake City) was named regional director for Asia by the International Trade and Diplomacy division of the Utah Governor’s Office of Economic Development. 1992 | Michael S. Ireland (BA ’92; Robin Edens [’92]; Loveland, Ohio) was named managing director of the International Gas Turbine Institute of the American Society of Mechanical Engineers. Craig D. Stanger (BA ’92, MS Western Oregon University ’95; Tiffani; Salem, Ore.) was appointed head coach of the men’s basketball team at Western Oregon University. 1993| D. Kyle Sampson (BA ’93, JD University of Chicago ’96; Noelle Transtrum [BA ’03]; Arlington, Va.) has been appointed to serve as chief of staff at the U.S. Department of Justice. Deborah Colling Suzuki (’93, MA University of Santa Clara ’98; Jared [BS ’78]; Morgan Hill, Calif.) received the Mick McDonald 2005 Volunteer of the Year Award by the Santa Clara County Emergency Managers Association. 1994 | Brett R. Jewkes (BA ’94; Melissa Hale [BA ’04]; Huntersville, N.C.) has been named executive vice president of Alan Taylor Communications. 1995 | Jason S. McDonald (BA ’95; Kara Greer [’92]; Mesa, Ariz.) has been named business products manager for the standard business products of Sentry Insurance in Arizona and Southern California. Frank T. Rothaermel (MBA ’95; Kelleyn; Alpharetta, Ga.), assistant professor at the Georgia Institute of Technology, received a $45,000 fellowship from the Alfred P. Sloan Foundation. 1996 | Tim K. Brown (BS ’96, MS University of Washington ’00, JD Baylor University ’04; Allen, Texas) is a new associate at Fish & Richardson. He will practice intellectual property and patent litigation. 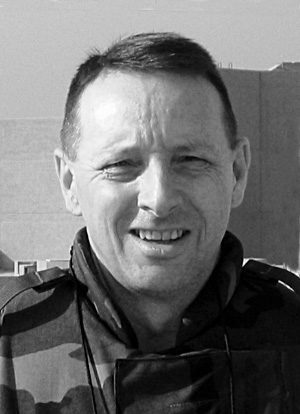 1997 | Richard N. Barnes (BA ’97, JD ’00; Darcee Mangus [BA ’98]; Sandy, Utah) swam across the English Channel during the summer of 2005, a swim of 16 hours. David L. Breithaupt (PhD ’97; Mary Jamieson [BA ’84]; Boise, Idaho) is the research and evaluation coordinator at the Idaho State Department of Education and received a post-doctoral certificate in large-scale educational assessment from the University of Maryland and the National Center for Educational Statistics. Stephenie Morgan Meyer (BA ’97; Christian; Glendale, Ariz.) has published the book Twilight: A Novel. The novel has quickly gained national recognition and Amazon.com listed the novel as No. 1 on its list of books from the past decade that young adults should read. 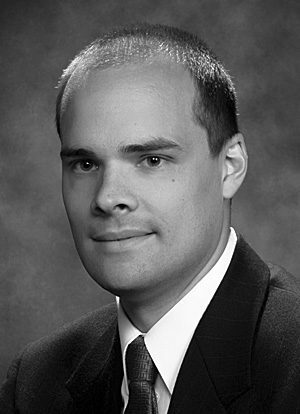 1998 | Dallin M. Anderson (BS ’98, MBA Harvard University ’02; Elizabeth; Highland, Utah) CEO of Montigen Pharmaceuticals, was named one of the “Top 100 Venture Entrepreneurs” of 2005 by vSpring Capital. Montigen Pharmaceuticals was recognized by the Utah Valley Entrepreneurial Forum as one of the top 25 up-and-coming companies of 2005. Daniel C. Carr (BS ’98, MBA University of Notre Dame ’02, JD ’05; Hollie Tubbs [BA ’01]; South Jordan, Utah) has joined the law firm Van Cott, Bagley, Cornwall & McCarthy as a new associate. Daniel E. Stevenson (BA ’98, JD ’01; Grace Burkholder [BS ’00]; Sammamish, Wash.) has joined the law firm Wilson Sonsini Goodrich & Rosati as an associate in the technology transactions group. 1999 | Shannon Johnson Hiller (BA ’99; Matthew; Las Vegas, Nev.), a senior account manager at Vanguard Media Group, received the Newcomer of the Year award at the Las Vegas chapter of the Public Relations Society of America Pinnacle Awards. 2000 | Sean D. Davis (BS ’00, MS ’02, PhD Virginia Tech ’05; Elizabeth; Lexington, Ky.) won the 2005 graduate student research award from the American Association of Marriage and Family Therapy. 2001 | Scott A. Chalmers (BS ’01; Jennifer Carter [BA ’04]; Orem, Utah), a first lieutenant of the Army National Guard 141st Military Intelligence Unit, Combined/Joint Task Force-76, was awarded a Bronze Star Medal by Utah governor Jon Huntsman Jr. and General Brian Tarbot. He received this in recognition of his meritorious service in Operation Enduring Freedom. Matthew C. Francis (BA ’01; Provo) has been selected as the 2006 NEHRP Professional Fellow in earthquake hazard reduction, awarded by the Earthquake Engineering Research Institute under a cooperative program funded by the Federal Emergency Management Agency. 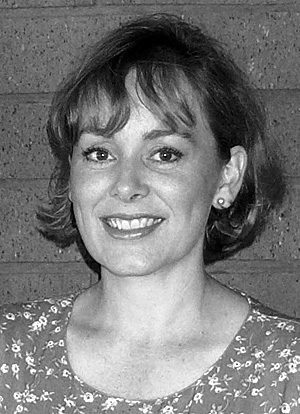 Sarah Stout Hymas (BS ’01; Benjamin [’97]; Sacramento, Calif.) received her master’s in science from Utah State University in May 2005. She works as a speech-language pathologist for Mountain Land Rehabilitation in a skilled nursing facility. 2002 | Stephen N. Ashton (BS ’02; Korbi; Othello, Wash.) was featured in Round the Table magazine in an article highlighting financial professionals under age 30. He is a member of the Million Dollar Round Table’s Court of the Table, which is the top 1 percent of financial professionals worldwide. 2003 | Anthony D. Milewski Jr. (BA ’03; Melissa Lambert [BA ’02]; Atlanta, Ga.) has been nominated to receive a Fulbright grant to study law in Russia. 2005 | Robert V. Jaramillo (BS ’05; DarLeana; Provo) has joined XanGo as director of distributor education and conduct and will provide training assistance for XanGo’s independent distributor network.